Automate the chore of pool cleaning. 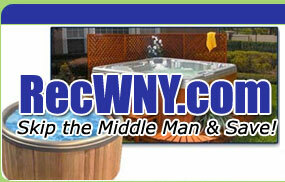 Let an automatic robotic pool cleaner do the work for you! AquaRay Automatic Above Ground Pool Cleaner - Is an affordable, automatic suction cleaner with only one moving part for simple reliability. 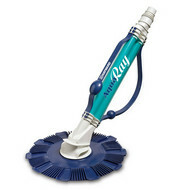 AquaBug Automatic Aboveground Pool Cleaner - It's unique pre-programmed pattern cleans the entire pool by vacuuming up all the leaves, dirt, and debris. Easy to assemble - in less than 10 minutes. 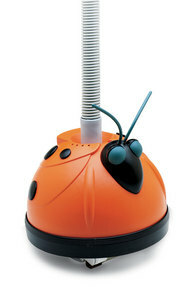 The SmartKleen robotic pool cleaner cleans your swimming pool's floor and lower wall basin in no time at all! 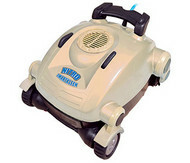 This lightweight, powerful automatic cleaner comes with its own pump and filter so there is no wear and tear on the pool filter system. 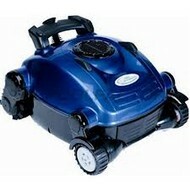 The Climber robotic pool cleaner cleans your in-ground swimming pool's floor and walls in three hours or less.